After we had such a great time working on our custom PartySaurus Rex, we were inspired yet again by the amazing Monsters University viral marketing website that Pixar released yesterday. If you haven't looked at the site yet, you need to - it looks better than many "real" university websites. 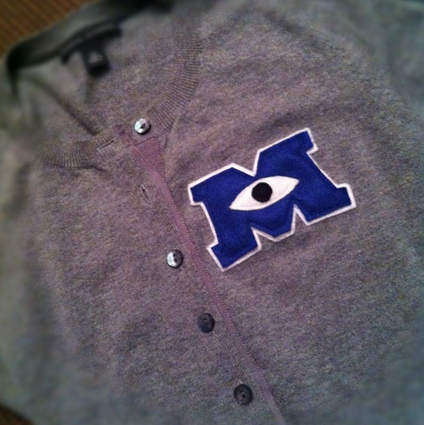 Our first custom piece is a cardigan with a MU logo. We have some other big plans but the next project will take some more time...stay tuned!